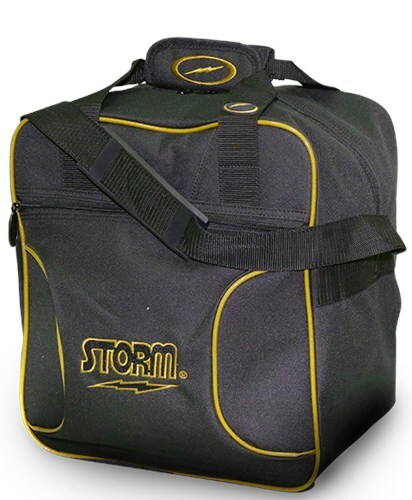 Don't miss out on all the features offered to the bowler in this Storm Solo Single Tote Black/Gold! This tote is designed for durability and the bowlers comfort. It features reinforced stitching, an adjustable non-slip shoulder strap, and it has a 1 year limited warranty. Wow! Due to the time it takes to produce the Storm Solo Single Tote Black/Gold ball it will ship in immediately. We cannot ship this ball outside the United States.